My test plan: open box, carefully inspect the entire contents, review specs, inspect product and analyze the quality. Hook up the product and discuss ease or difficulty of installation. Test product and evaluate sound quality. That sounds pretty awesome. If selected, I'd start with a blog post formatted to be shared across Twitter, Google+, Instagram, and Facebook. Each section would include photos and short videos alongside the textual contention. I don't do reviews often, but here's one that I did for a vape device early last year. Just thought it would give someone an idea of what I'd offer. This is perfect. I'm looking for a new home theater. I'm used to the full surround sound 5.1 or 7.1 system and I've been anti sound bar for fear of not so good sound. I did a review of the Roav dash cam and I still love it so I'd be willing to give it a try. I want to do a unboxing, setup, and full review on my YouTube channel https://www.youtube.com/user/cr8zblackguy which I share to both Instagram and Facebook. My review will be vastly different. I have a screwdriver and know how to use it. I'll break down the size of the internal speaker box(es); size, range, and overall quality of each speaker; construction; and build quality. I won't be sharing this post. As a general rule, I do not give previews of hardware that I may review. Any serious reviewer should have a similar stance. It only serves to reduce your credibility - being willing to shill for a product they haven't tested says a lot about a person's motivations. Can you believe that in 2018 sound can be spoken from the calmness of your voice and heard all the way in southern Australia or even the North Pole? Anker has become the most innovative, affordable, and quality provider of electronic chargers, speakers and new technology in the century! Sound is so varied, so diverse and so important to our happy existence. From baby monitors, to hearing a perfect guitar chord, to recognizing the breathy female alto, and determining the contra alto in order next on the playlist, music and sound are perhaps the most pleasurable occupancy of the five senses. Electronic beats of skilled electronic dance music artists moves my heart and mind into a harmonious joy with headphones, yet can it be as clear and precise without, by using "Anker Infini"? Audible poetry is a language that so many of us are fully aware of but so often we rely upon devices which are not worthy or are out of date to bring the color of sound back to our black and white universe. I'm excited to have the opportunity to test this "Anker Infini" speaker. 1) Thank Anker for their innovative continuation and commitment to quality. 2) Check the postal mail. 3) Open device. Notice the wattage, and speaker quality. 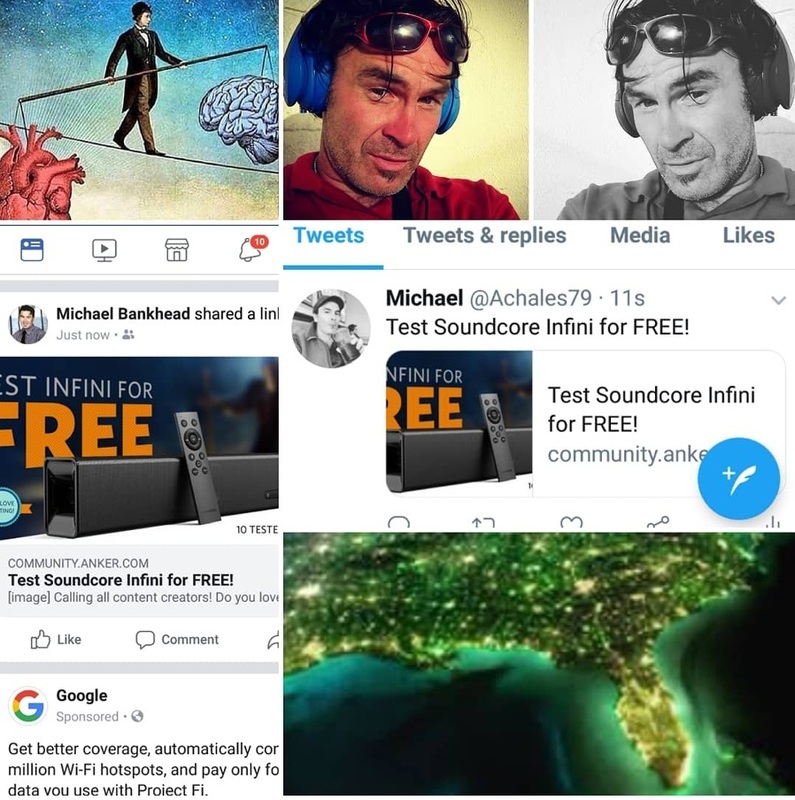 Notate the asking price of the Infini and compare it to other similar devices as made by companies such as Samsung, Coby, Sony, JBL. 4) Connect the Device to my Apple TV. Use Apple TV and Samsung MILK music to play a variety of tunes including Tiesto(EDM), Melissa Etheridge(Pop/Rock), Classical Piano, and Orchestra. I will notate the difference in how well I hear the varied decibels of sound, the bass, the treble, the percussion, the strings and brass. I will notate whether or not the sound is consistent and clear and how the potential for maximum volume and clarity compared to others is demonstrated. 5) I will connect my phone and baby monitor to notice if a talkback speaker is included and how well sound travels from other sources using "Anker Infini." 6) Offer feedback and observations to Anker if inprovements or lack of quality are observed. 7) Express the quality to family, neighbors and friends, happily. Thanks for the opportunity Anker! If I am chosen to test and review your soundbar my review would start out with a nice picture of the packaging followed by a video of the unboxing and setup. Add a second photo of the unboxed and setup soundbar. My written review would start out with me explaining my favorite features and how easy setup is, followed by my detailed thoughts on the sound quality and appearance. And would finish up with pointing out all the devices it is compatible with and the many places it could be used. Thanks for the chance to test your product. I will do a unboxing video, review feature and test against my existing audio setup. I will make an unboxing video and post it to my Youtube channel, which will also post to my Twitter. Youtube channel as well as posted to my Twitter. I hope i will be on any place from 10. I would love to try out a sound bar . A Sound bar gives better sound than the TV it self plus makes you feel like your at the movies with realistic volume that you can hear . Great product and would give an outstanding review . 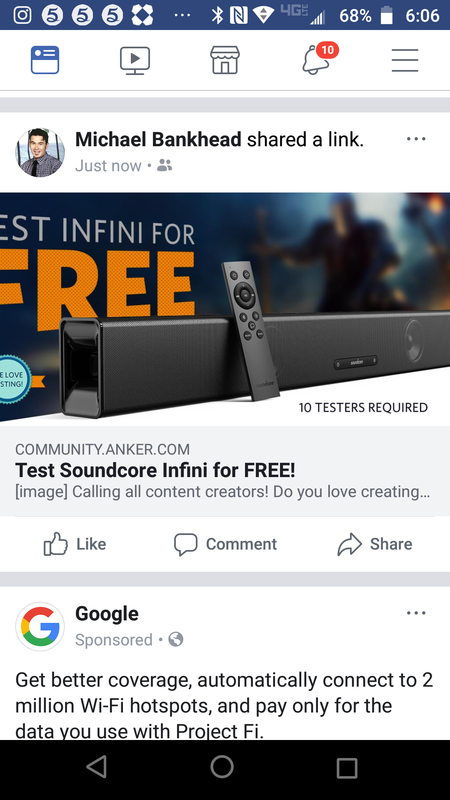 How would I test the Soundcore Infini? I see that others have plans for videos, Facebook and social media posts, and even some Jumping and quasi-sexual assault of the postman. Well I plan to take the Best of all of these and use (steal) those ideas to give the infini the best going over ever. 3 review all the connection that are available. 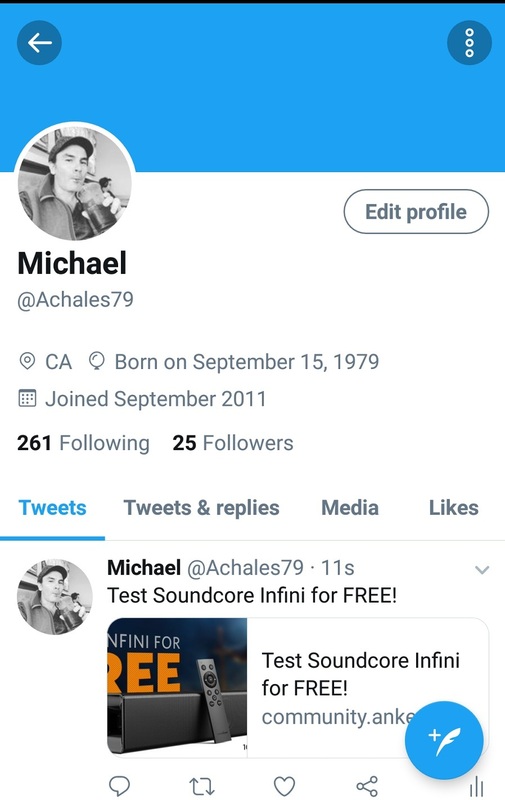 7 show how awesome infini sounds while watching INFINIty Wars - Nick and Nora’s INFINIte playlist - INFINIty Chamber And any other that has INFINI as part of the title. I think that’s how I would test this and get my point out to the great unwashed masses. First thank you for this chance. I would love to make two seperate reviews which I will explain now. As a freelancing programmer I‘m currently working on a 24“ multitouch smartmirror with 100% selfmade software. The last problem I have is that the mirror needs a good looking and sounding speaker, so this soundcore infi would be perfect! The second review would be a written one which will be published to the community and on amazon (or any other store platform), this review would contain all points I mentoined above but in written form. 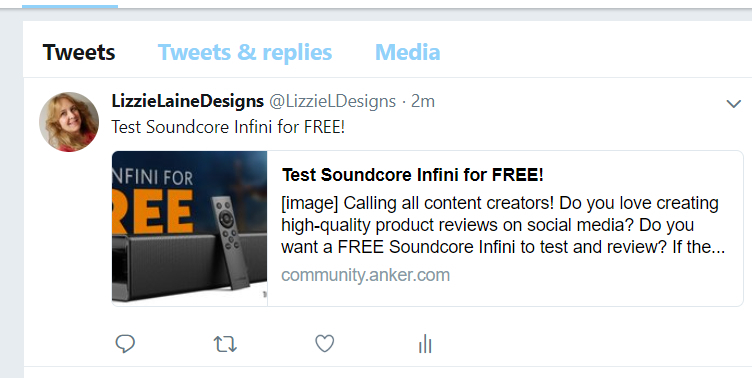 I hope I get this chance to create these reviews and help people buying the infi! 1.- Unboxing, set up and sound test (from TV, Navidia Shiel TV and over BT from my Pixel 2 XL). Send it my way, I'm ready to rumble. 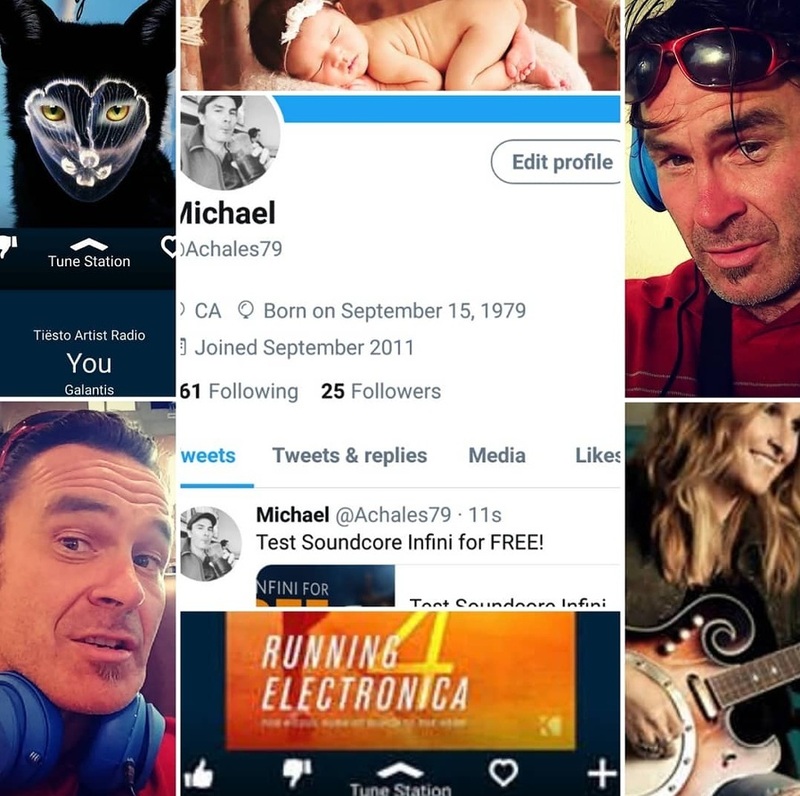 My plan is to share my review, with images, to all of my social media pages. 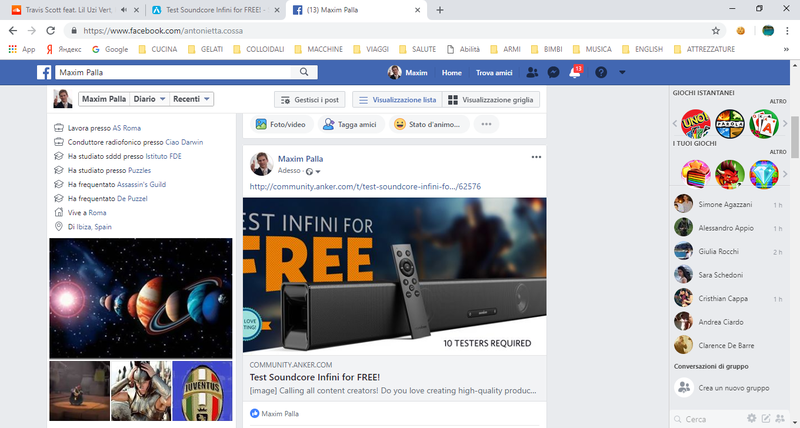 I would also be sharing it on deals websites that allows them.